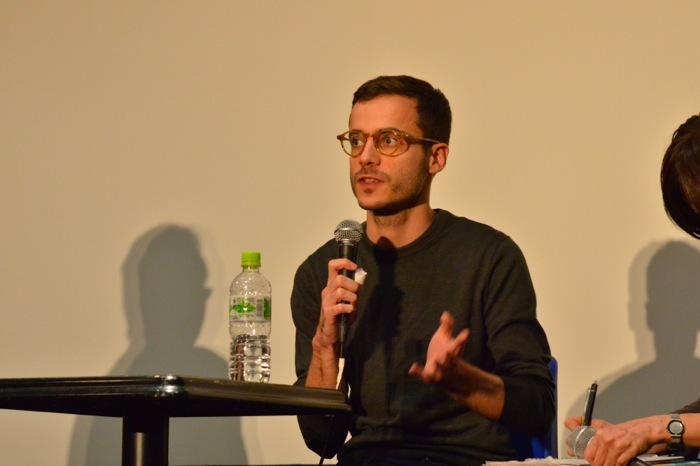 A talk show by Mr. Amaury Augé, the president of ACID (an independent distribution company in France). 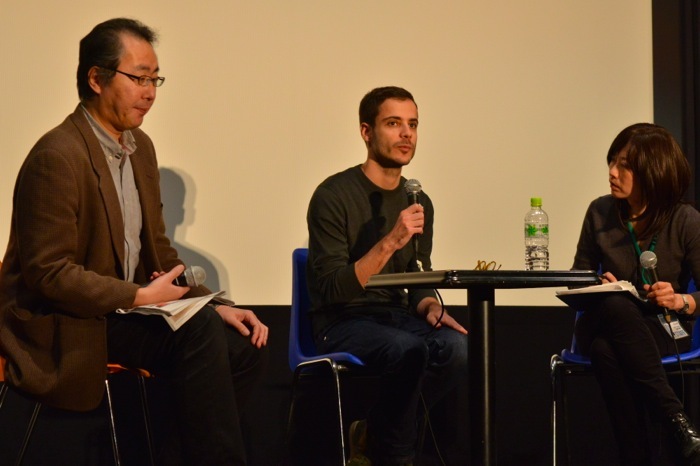 On Sunday, November 22nd, 2015, “A Cow’s Life”, an independent film directed by Emmanuel Gras in France was screened at 3:00 p.m. in YOKOGAWA CINEMA in Hiroshima-city. After screening “A COW’S LIFE”, a talk show was held by Amaury Augé, the president of ACID (an independent distribution company in France) which distributes the film.The host of the talk show was Tetsuya Shibutani, and the translator was Junko Sugiura. During the talk show, Mr. Augé talked about valuable stories which we can hear only in the talk show, e.g., an unknown story of producing “A Cow’s Life” background stories about the realization of screening the film in Japan, and details of ACID. First, the main topic was about “A Cow’s Life” This film is different from other documentary films in its unique viewpoint of describing the life of cows which are familiar to us as livestock. The film, “A Cow’s Life”, was highly valued for its originality. 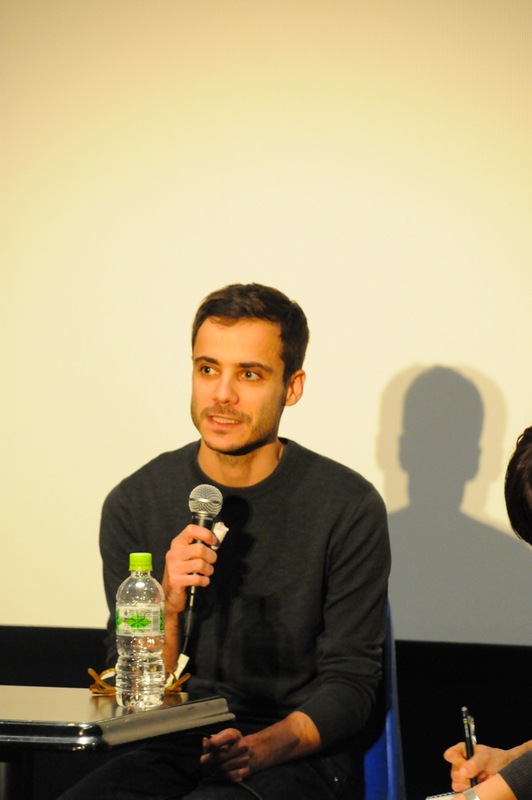 Then, the film was also screened at the Cannes Film Festival by ACID, and the film was valued as wonderful film there. After that, the film continued to be screened in France, reaching 30,000 viewers, such a number was unusual for documentary films. The audience of the talk show attentively listened to an interesting story of how “A Cow’s Life” which greatly succeeded, was made. In the questions and answers session, which was held in the latter half of the talk show, various questions were made from the audience who became interested in this unique film, e.g., how to shoot “A Cow’s Life” in which a cow is a main character but it does not act, a reason why a cow as livestock was chosen as a main character, and a sound effect in the film which caused the audience to be surprised. Don’t miss ACID’s activity of spreading independent films all over the world!